I have been running my design business for 13 years now and have over 2200 projects under my belt. The reason my business has been a success is because I take design seriously, and I help my clients to do the same! Why is design so serious? If you think about a business that does not take design seriously (and they are out there) and you contrast it against a business that does take design seriously, I think there lays some insight that is as much internally driven in the business as is externally important to that businesses customers or clients. Design should be taken seriously. When you take design seriously you are actually taking the perception of your business seriously and when you do this you set up an expectation for your business that you become motivated to adhere to. It’s not merely about how your business looks from the outside but the culture you create within the business to match that expectation. 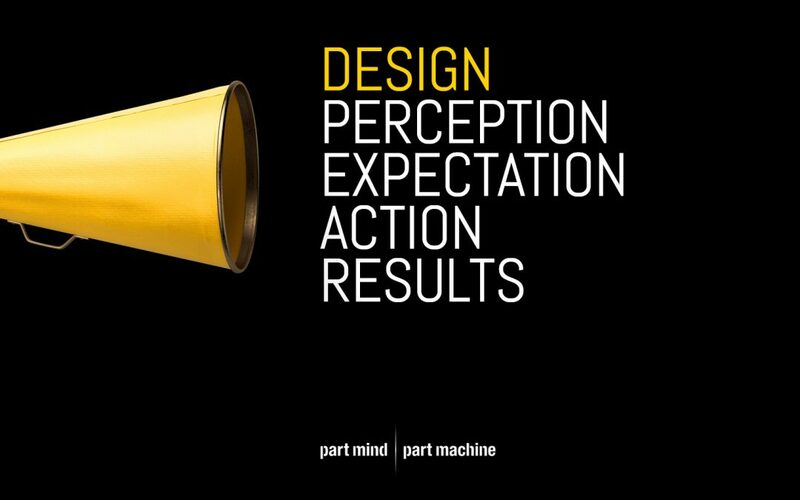 This expectation propels action to be taken to match that perception you are creating. And with the right consistent action applied the results then begin to be delivered and shown. I’ve seen this process repeated time and time again and feel like this is a secret weapon to good design that could be overlooked. I have recently worked on a campaign called Sunflowers for Jess. This is a prime example of how serious design was used for a great outcome. Our aim was to attract sponsors, sell tickets to the main event and raise donations for a very worthwhile cause. With our design campaign we were able to attract over 60 sponsors and donators, sold out 650 tickets to the event and raised over 150K in funds that were directly donated to Jess. 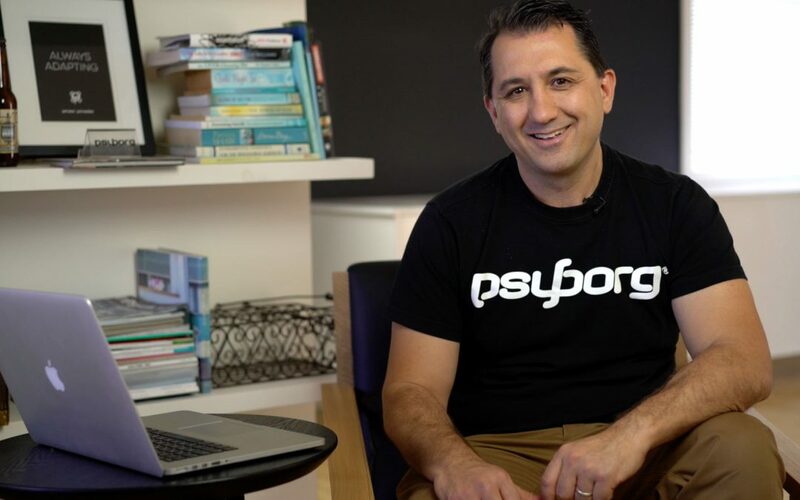 There aren’t enough positive words that I can say about Dan and the psyborg® team. Every aspect of their service has been nothing short of outstanding. The look and feel of the Sunflowers for Jess campaign is one of the key reasons it has been so successful. On top of that, the fact that Dan was so moved to support our cause shows the extent to which psyborg® is involved in the Hunter community. A graphic designer is a communicator, we communicate to an audience (the consumer) through images that are designed to inform, captivate and inspire a response. When working on the Sunflowers for Jess campaign we needed to captivate the sponsors and the community to create a successful event for Jess. This took on a design strategy in the form of a website, social media, letterheads, signage and much more. We developed the campaign based around one of Jess’s loves – sunflowers. We brought this into the campaign through images and colour combining these elements to tell Jess’s story. 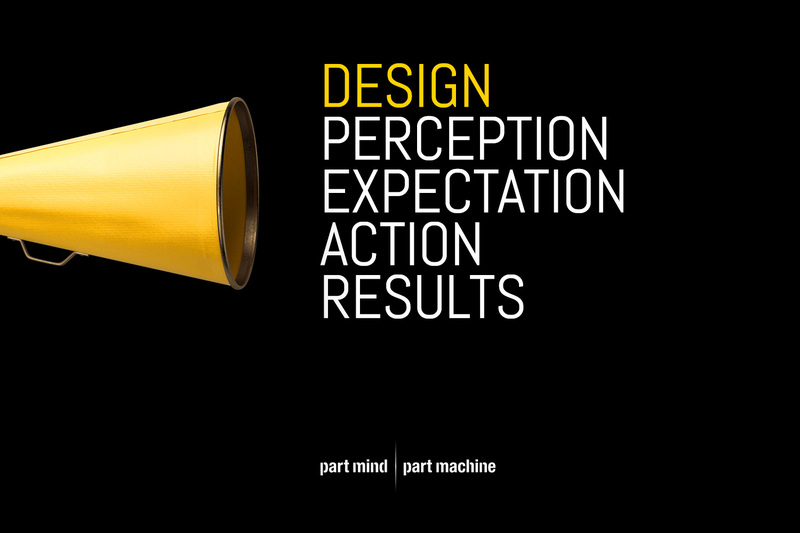 Perception is basically how we want our audience to think about our business, cause or event. Perception is formed by all aspects of branding. When a client or customer hears the name of your business, what do you want them to think and feel? That is perception. For Sunflowers for Jess we wanted the sponsors and community to see Jess for what she is. An enthusiastic and fun person who has worked to help the community and through a tragedy now needed some help in return. When looking at the campaign we didn’t want people to feel sad we wanted them to feel compelled to help. Help someone in need. Our bright imagery, social media posts and videos within this campaign all worked toward this and from the overall outcome worked very well. Expectation is the belief that something will happen. In many ways expectation is perception in action. To create the perception we need to adhere to the expectations we set. So for the Sunflowers for Jess campaign we set goals. What we believed we could achieve for Jess. Our expectations for the campaign. For example how many sponsors we needed, tickets for the main event, what the campaign needed to be successful. Once we had set these expectations for the campaign we ran with it. I am happy to say we reached and shot above all expectations. Once you understand the expectations you’ve set we need to put these into actions. In terms of design it is the how, how do I now go and create something to reach the expectations I have given myself, so that peoples perceptions of my business are what I want them to be. How do I now put into action what I need to get the outcome that I want? Sunflowers for Jess was a project that needed lots of action because we wanted to reach lots of people and wanted peoples perceptions of the campaign to compel them to help. We acted on our expectations and created a magnificent campaign. When actions are completed results are evident. Setting up a brand or re-branding a business takes many steps. But ultimately once it is completed and if done well the results can be seen. We had great results in the Sunflowers for Jess Campaign. We knew what we wanted our perception to be, we knew our expectations, we implemented the actions to reach these and in the end we saw the results we wanted. A very successful campaign raising over 150k for someone in need. When design is taken seriously you can create a great brand. A brand that is perceived by customers and clients as being worthwhile. To create a good brand serious design is needed. Not just slapping together a logo and a webpage. It takes time, care and thought to create a successful business. Perception, expectation and action are all needed to get the results you are after. What is a media release? Wikipedia’s definition is as good as any. A media release is a written or recorded communication directed at members of the news media for the purpose of announcing something ostensibly newsworthy. Typically, they are mailed, faxed, or e-mailed to editors and journalists at newspapers, magazines, radio stations, online media, and television networks. Media releases are an ideal advertising tool. They reacher a wide audience and can help grow any brand. Technology advancements have changed the media release outlets. We more than often see media releases online before anywhere else and they are so easily shared over social media outlets that all we have to do is open up Facebook to see the latest media releases. Here’s some tips about media releases that will hopefully have a journalist adding you to their outgoing news. When should I do a media release? working for a new, significant client. If you think the news is worthy and want people would want to know, then prepare a media release. How to write a media release? Preparation is everything. Too many people hit the keyboards without thinking about why they are writing, or indeed what they hope to achieve. It’s always good to have a pen and paper handy to jot down notes. The mind tends to logically order things. “Walk a mile” in the reader’s shoes. What would you hope to receive? The secret is to find a “hook” or an angle. Before preparing any written material, especially a media release, you should always employ Write For Impact’s “foundational five”. They are: (1) set a clear purpose; (2) know your reader(s); (3) gather your content; (4) draft your message; and (5) edit for impact. Good writing is good editing. It’s always best to get your information organised first rather than making it up as you go along. Just as writing notes in longhand leads to logical order, having your information at hand has the same effect. Gather it and then you can order it. Write a draft knowing it’s unlikely to be the definitive version. Read it aloud or print it out and read the hard copy. Does it scan well? Check all dates and figures. Redraft. Check tenses and use all available tools such as inbuilt spellcheck or Grammarly. If you are in Word and there are squiggly red or green lines, there’s a good chance there is an error. Double-check any names. The easiest way to alienate editors is to spell names incorrectly. Always print it out and read the hard copy out aloud. The advantage of clear and concise writing in business is establishing a good reputation. Media releases should not only be easy to read, but relevant. It should tell us who, where, when, how and why. One idea per sentence is a good guide. The introduction should be catchy and draw the reader in, and the following paragraphs ordered from most to least important. A conclusion should sum up the points. Don’t labour over a witty headline. That might be the only thing the journalist or editor reads. If it’s too clever you risk being consigned to the trash basket. Some points to keep in mind. Pretty basic, but something that must be stated clearly. This can be the company, a group of people, or an individual. More important is clear contact details for one or two people. Often journalists will want to follow up to corroborate information, or in the best result, get some more quotes. You should be prepared to deal with a phone call from a media outlet. Have the company spokesman prepped. You may not want an immediate release if the event isn’t happening for a while. But it always pays to get media releases out early. Don’t second-guess news desks. In the 24-hour news cycle priorities change constantly, but journalists always like to have stories “up their sleeves”. Newspapers pay sub-editors to come up with catchy headlines. Your immediate audience is a journalist or desk editor. Keep the clever stuff for the body copy. The heading should be bold and bring direct attention to the event. Stick to the facts and keep to the point. The first sentence/paragraph should contain the most important and strongest pieces of information. This will make the journalist keep reading. Good writing is good editing. Keep rereading to detect any words that are not needed. Make sure it is not only informative and interesting but also easy to read and understand. Keep it to about an A4 page of writing. If it is too long it risks being overlooked. If the journalist needs more information, they will call you. Remember, the person reading it may not know anything about your business. Just make sure it tells the reader who, when, where, why and how. Who is involved, when will the event take place, where did it or will it happen, why is it newsworthy, how did it come about, what steps took place to make it happen? Sum it up with a conclusion, another piece of strong written information to grab the reader and make them want to follow up with a story. You can also include a supporting image or video. Online media stories with attached photo or video get shared much more than just a written document. But the image/video must help promote the story. Media releases help get your brand in front of new audiences. They promote your business and brand and grab the attention of new clients. With the growth of the 24-hour news cycle, journalists often need more stories. Getting it “out there” gives you great exposure to a new audience. It can help with branding and worked properly with a strategic social media approach you can reach a larger, more engaged audience. This will bring website traffic and potentially business growth. 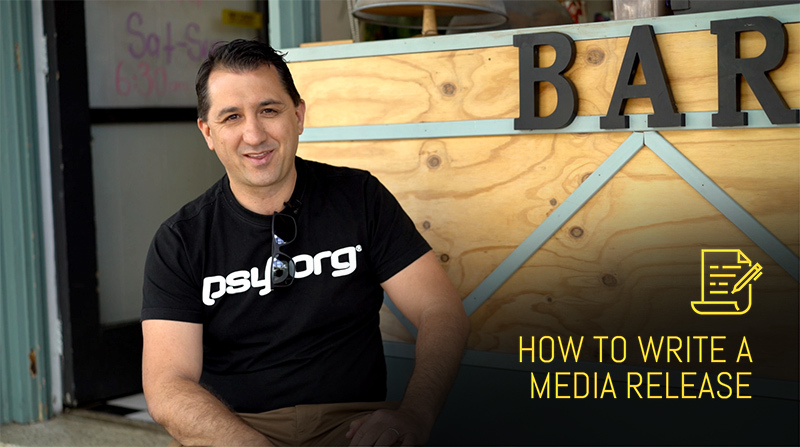 The online social world is growing and if your media release reaches the right people who decide to share your news then the potential audience base is unstoppable. Essentially it is free advertising. For example, a photographer wins a local art award, they put out a media release, a journalist runs the story. The potential here is 20,000 shares. It could have one share from someone who has two million followers. The possibilities are endless. The artist could go from selling an image a week to selling 100 a week. Businesses that want to grow need to continue to spread the word of their brand. Media releases are another way to capture a wider audience and bring in more business. Once a story is out there it is easily shared and the possibilities grow as does the business. It it important to draw journalists in with the press release so remember to make sure it is exciting, honest and easy to read. No harm in trying. 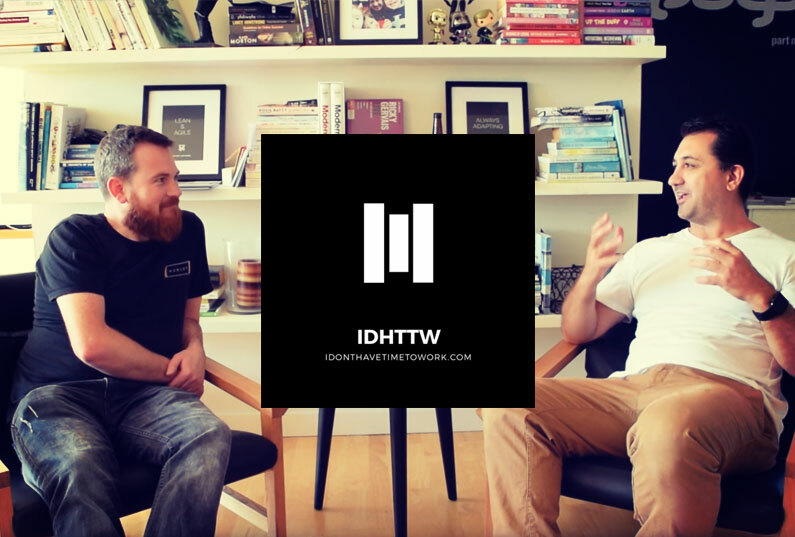 I recently had the pleasure to be interviewed by Troy and Luke from the IDHTTW Podcast. IDHTTW is an acronym for ‘I DON’T HAVE TIME TO WORK‘ which, hey we all agree on, right! No body want’s to work but if you’re lucky enough to be doing what you love, is that really work? And that’s what these guys are all about. Troy and Luke interview entrepreneurs & business owners who love what they do and I had the pleasure of chatting with these guys for just over 30 minutes. In this interview we discuss how and why I got into business, the hustle, Australian entrepreneurship culture, following your dreams, the reality of Networking and much, much more. The interview was uploaded to youTube and iTunes as a podcast on the link below. Take a listen and if you have any questions be sure to reach out! 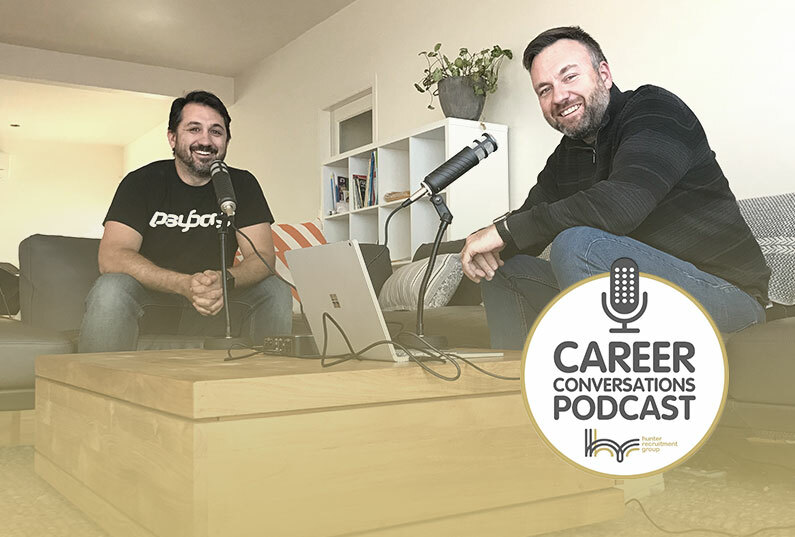 I recently had the pleasure to be interviewed by Craig McGregor from the Careers & Conversations Podcast. Craig conducts recorded interviews with business owners, entrepreneurs, high level managers and experts where he shares the insights into each persons career journey through the lens of a HR professional. Craig has a very natural and professional interview style so I was thrilled to be a guest on Craig’s show and had a heap of fun chatting. Craig also runs a Hunter Valley based recruitment business, Hunter Recruitment Group where he helps businesses recruit and manage employees. 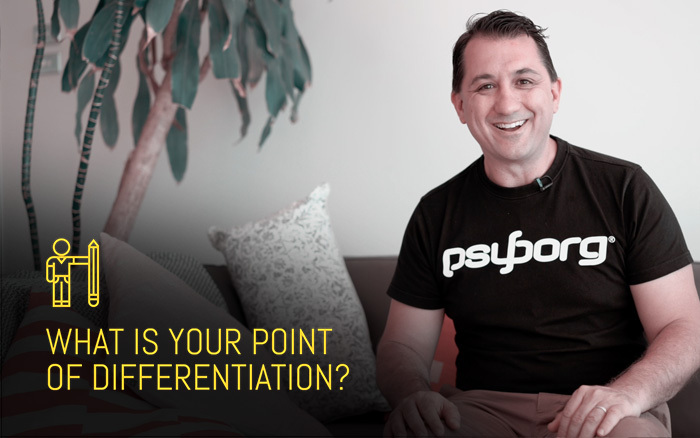 In this interview we discuss my career pathway from the world of engineering to graphic design and the work we do at psyborg® where we solve problems through graphic design and branding. Please take a listen via the links below. A testimonial is a recommendation from a satisfied customer conveying the performance, quality and value of a service or product. They can be requested for or just given when work has been completed. Testimonials can be an extremely strong and necessary marketing tool. If a new client or customer is trying to decide whether to choose to work with you, then a few good testimonials can prove that you really are the right choice. When perspective clients or customers are searching for an expert they often visit webpages, social media, Facebook reviews, GoogleMyBusiness reviews to learn what quality to expect from a business, and essentially decide whether or not they will choose that business to give their work to. What Type of Testimonials are Out There? Testimonials can be text, image, or video. While a written testimonial is the most common form of testimonials, images and videos can be very effectives as well. Images may be of a client using their purchase or showing a final product. In my line of business it might be a client standing in front of a sign I created. Often images will include a written testimonial as well stating why they are happy with the completed work. Videos can be great because unlike written content, you can see the customers expression and passion for what they are talking about. It is good to keep all forms in mind when asking for a testimonial and perhaps give the client the option. There are some 3rd party review sites where testimonials can also appear. These generally rate a particular profession though and unless you are in that profession and keeping an eye online to see if any reviews have been written they may or may not work for your business. Some of these include Rate My Agent, FourSquare, TripAdvisor, GoogleMyBusiness, Yelp and more. Also tools such as Facebook & GoogleMyBusiness reviews are becoming more and more popular and you can choose to put testimonials on your businesses website. How to Ask for a Testimonial? Firstly make sure you are testimonial worthy! Make sure you do a great job consistently! You should work like everyone you work for is going to review your business. This way you should never have a bad testimonial and you can ask everyone for a testimonial. It’s pretty easy to get testimonials and no harm in asking. Not everyone has the time to do one and people are forgetful so don’t push it but, at the end of a job, ask for it in a survey form via an email with a link to the form. Surveys are easy to create, easy to fill out and can give some great information about a business. Within the survey a written section can give more detail and be used on your websites or social media if desired (ask permission in the survey). Also if some negatives do come up in the survey you can either work to rectify the issue or keep it in mind for future business dealings. If you are after reviews on GoogleMyBusiness or the like then give written instructions with screen shots on how to complete it and offer a discount or a gift to encourage clients to do it. An example of how to do this is… you could offer a box of chocolates with a note on the lid explaining how to give a review on GoogleMyBusiness, this could be a small flyer with graphics showing the steps. This would be effective because every time the customer has a chocolate you are reminding the customer to write the review. It may take a little while but no doubt by the time the customer has finished the box of chocolates the review would have been made. Word of mouth is an amazing advertising tool. Testimonials aid in this as it can help build and promote a business giving it credibility. Remember to work like everyone is reviewing your business and don’t be afraid to ask for a testimonial at the end of customer interaction! This is made a lot easier by coming up with a system for asking that could involve templated emails, online surveys and carrot to encourage the user to take action. 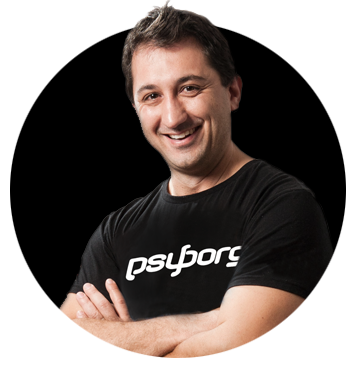 Check out some of my testimonials at psyborg®.